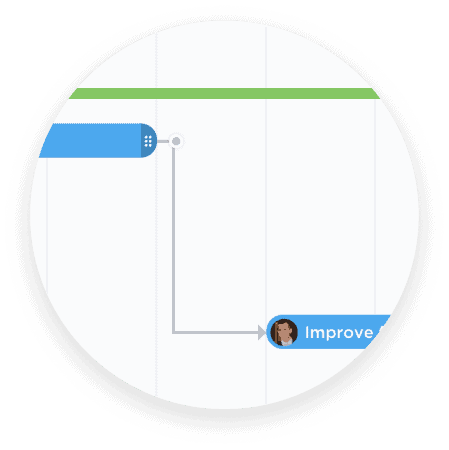 Schedule, manage dependencies, and prioritize anything into an elegant project timeline. Automatically determine the longest stretch of dependent tasks from start to finish. 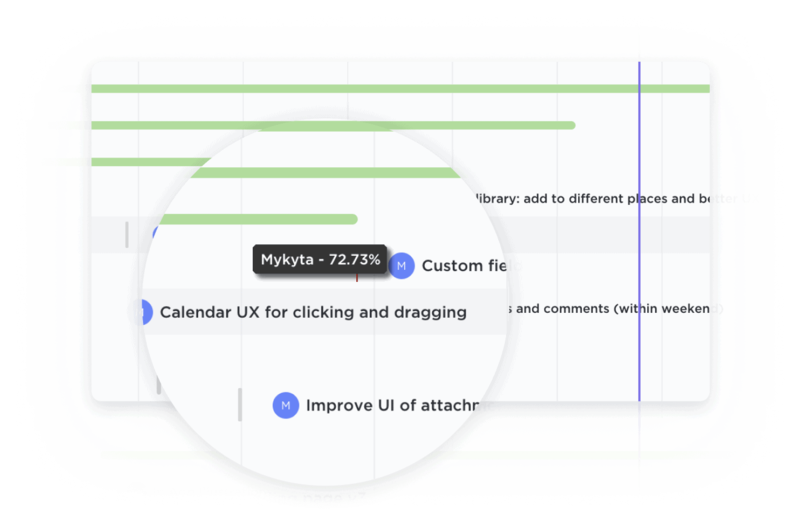 Organize your project's timeline. Draw lines between tasks to set dependencies! Move a whole group's dates based on where they're located or what they're dependent on. Quickly determine how far along a Project or List is based on tasks completed. Who said a Gantt chart can’t be beautiful? The dynamic timeline lets you schedule tasks, keep up with project progress, manage deadlines, and handle bottlenecks. 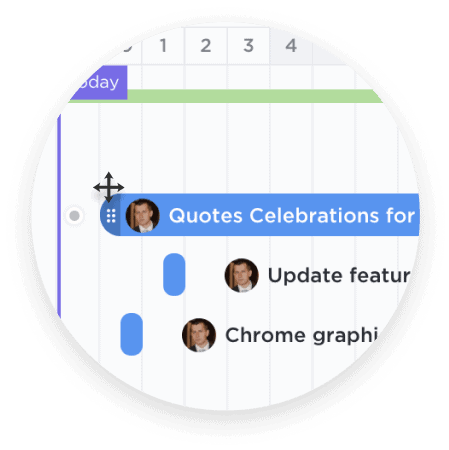 The online Gantt chart gives you a bird's eye view of all Spaces, Projects, Lists, and tasks. With clear coloring options, you'll easily know what's happening and where. Organize and prioritize every task. Organize how you see your tasks with a quick sorting. 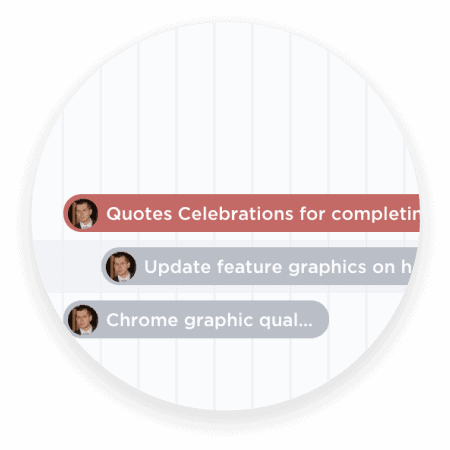 Create cascading views with a single click to easily see what important tasks are coming next. 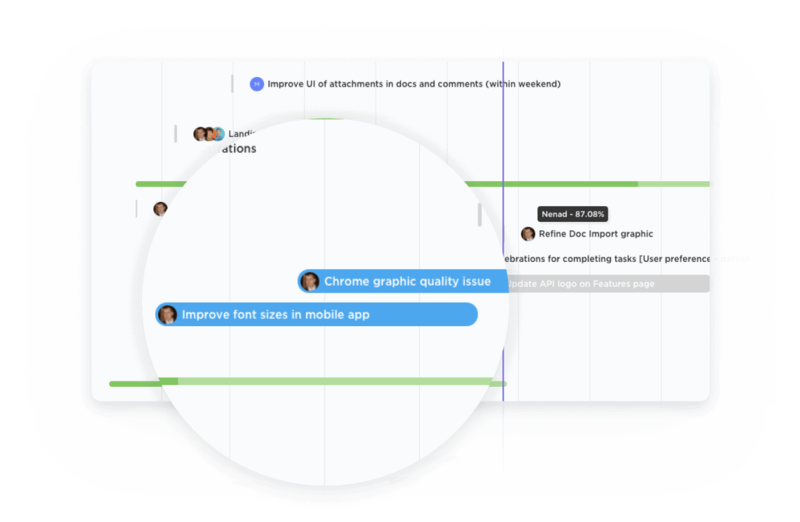 Easily update projects with a simple drag-and-drop action to collaborate amongst your team in real-time. 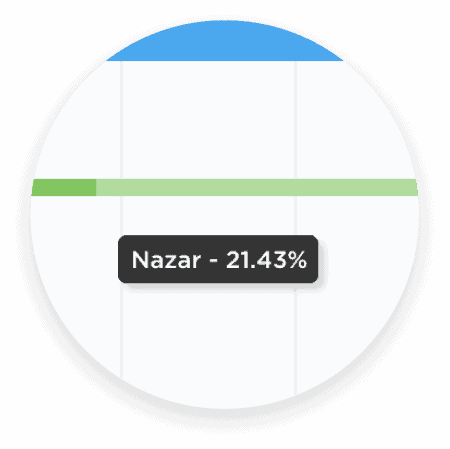 Dynamic progress percentages provide a detailed snapshot. Create tasks and link them with dependencies. Dragging a task with dependencies will automatically reschedule tasks in the chain. Intelligent dependency-path tracking shows you where potential bottlenecks might exist to prevent inefficiencies.